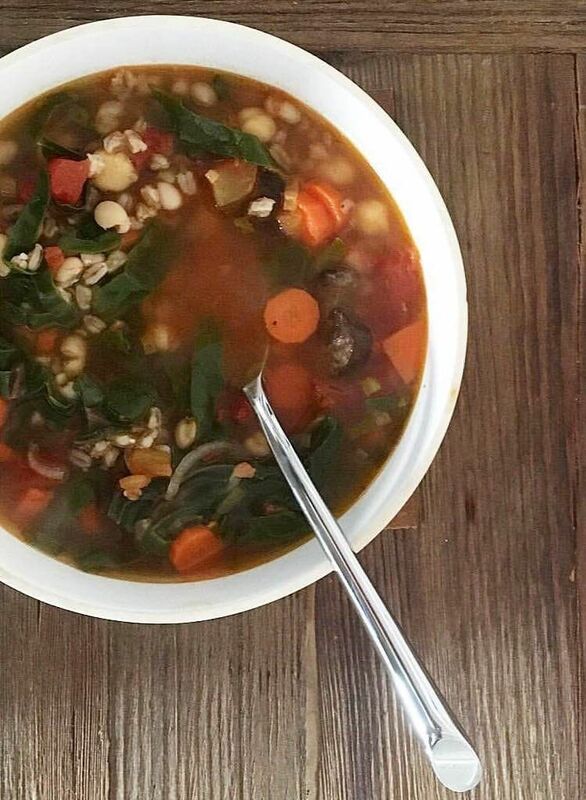 Farro gives this soup enough bite and heft to make a bowl a satisfying lunch. And no dish in the Bloomberg house gets to the table without the addition of iron rich, dark leafy greens. Not since kale became king. Chard is an option for kale haters. So much recent talk of bone broth sends me to the New York Times archives. In not much time, the whole apartment starts to smell like soup. I wonder if my son Teddy will grow up with a memory of winter goes with soup. Serves 8. Place farro in a small saucepan. Cover with water by one inch and bring to a boil. Lower to medium and simmer, uncovered, for 10 minutes until al dente. Drain and set to the side. In a large pot, heat oil. Cook leeks and shallots until softened, about 5 minutes. Add carrots and cook for an additional 5 minutes. Season with salt and pepper. Stir tomato paste into softened vegetables and let it darken to a deep red color. Pour beans and beef stock in, season with salt and pepper and bring to a boil. Once rapidly boiling, lower the heat to medium and let simmer for 20 minutes, stirring infrequently. If a foam floats to the top, skim and discard. Add chard and farro and cook just into greens soften.